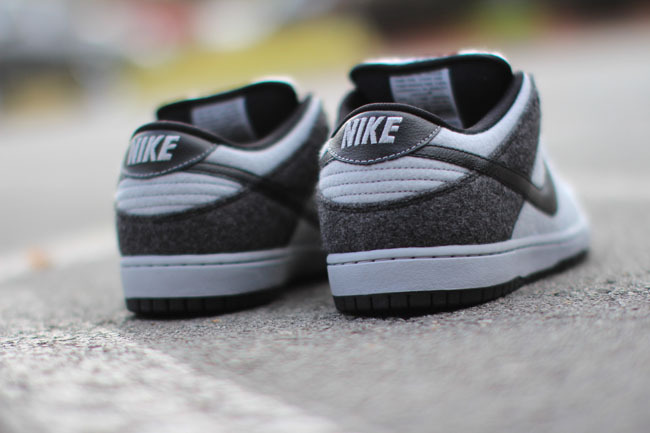 New from Nike SB, and just in time for cold weather, is this wool Dunk Low SB. 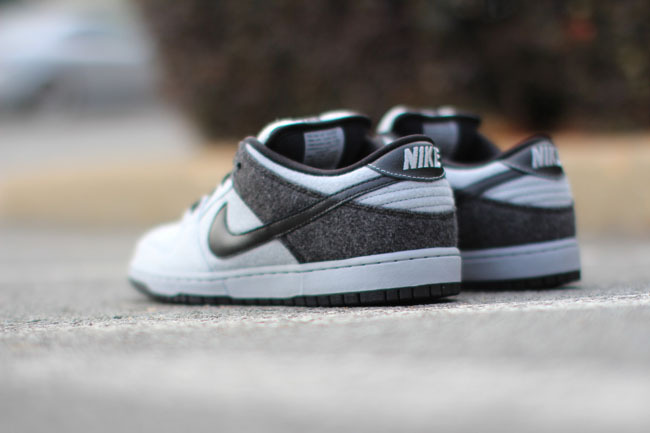 New from Nike SB, and just in time for cold weather, is this wool Dunk Low SB. 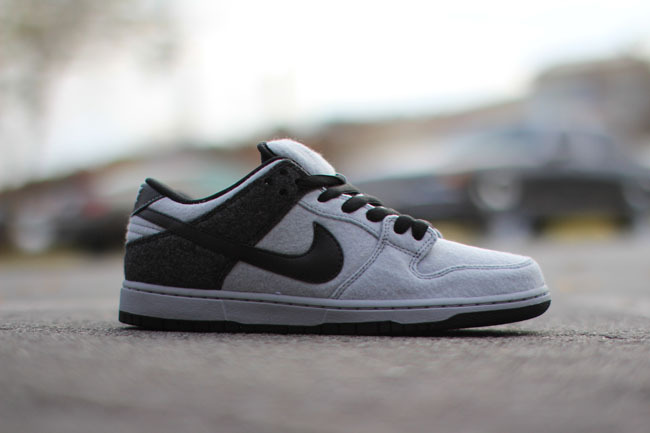 The shoe features Wolf Grey and Black upper, made of premium wool. 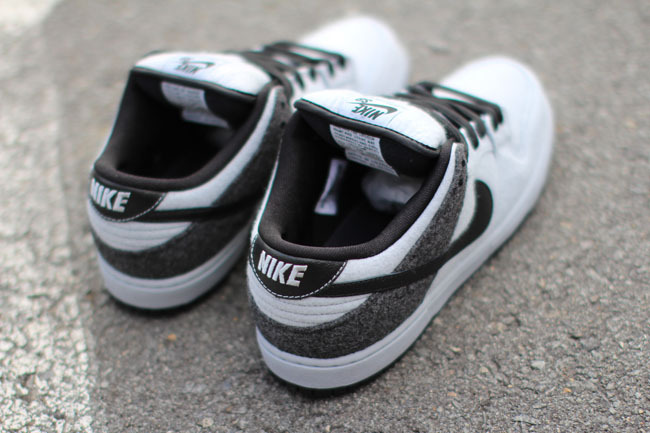 The popularity of Dunk SBs may not be what it used to be, but if you are looking for a simple option in a non-standard material, this one is worth a look. These shoes are available now through Rock City Kicks.